Movies got people interested in revolvers, but the quality of guns turned that interest into enduring popularity. They have enough power for both hunting and personal defense, and their reliability means that you can rely on them in the field. We’ve put together a list of ten of the best 44 magnum revolvers for people who need a new gun, ranked based on their performance in the field, value, and reliability. The Callahan Target is a beautiful gun, but it isn’t just a decoration. It’s a traditional single-action revolver with a Swiss safety, so the mechanisms should be familiar to most shooters and easy for novices to learn. It shoots accurately, but the gun’s ergonomics really make it stand out. It shares a grip style with the Colt 1860 Army, which is a rarity in the modern market. 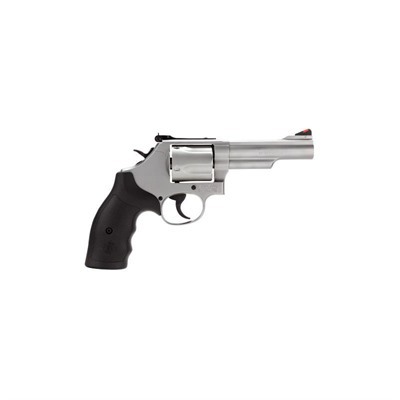 If you like that style of grip, then the Callahan Target is the best 44 revolver for you. If not, you should pick a gun that wasn’t designed to resemble a historical revolver. The Model 83 is an exceptional weapon, but it’s also exceptionally expensive. That cost comes from the quality of the gun’s components and craftsmanship, which is superb. The Model 83 rarely breaks or jams, and it offers incredible accuracy. In terms of quality, it may be the best 44 magnum revolver on the market, but the improvement that it offers over the others is not huge. It will be worth the money to some of the top shooters, but novices who can’t take advantage of that quality should pick something much cheaper. 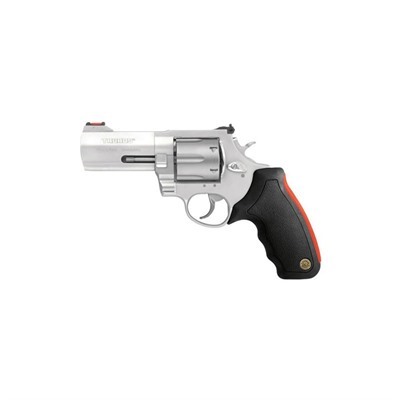 The Tracker is a reasonable affordable multipurpose revolver. It has barrel porting to help control recoil, so it’s easier to control than many other magnum revolvers. It also stands out for its safety features. The pistol uses the Taurus security system, which gives you a key that can disable the entire weapon. That’s even better than a conventional safety since it’s impossible to switch it off by accident. It is a good 44 magnum revolver for someone who has young children in their home and wants to stay safe. Some users have reported problems when using hand loaded ammunition, but those problems disappear when using commercial rounds. This is a good fit for users of any skill level, but people who like to prepare their own ammo might want to choose a different weapon. The Anaconda is an incredible weapon with one glaring flaw. The trigger pull is light, and the gun is built to absorb recoil, so it’s far easier to control than most guns of this size. The grip’s excellent ergonomics also help with control. The earliest set of Anacondas had some accuracy problems, but late improvements made a very accurate weapon. The problem is that the Anaconda has been out of production for a long time. The resale market is thriving, but it can be hard to find one. It might be worth the effort and expense for an expert, but there’s no reason for a novice to spend that much. The Super Blackhawk is one of the most famous in the world, and for good reason. It’s as simple and reliable as any single-action revolver, and Ruger’s traditional heavy construction keeps it from breaking down. It’s a heavy weapon, but the balance is good, so it feels lighter than it really is. That durability, along with a light trigger and a modern set of adjustable sights, helps to keep it accurate. This might be the best 44 magnum revolver for any skill level, although people who prefer a double-action should look at Ruger’s other offerings. The Ultralight is the best 44 magnum pistol for people who want a light weapon. 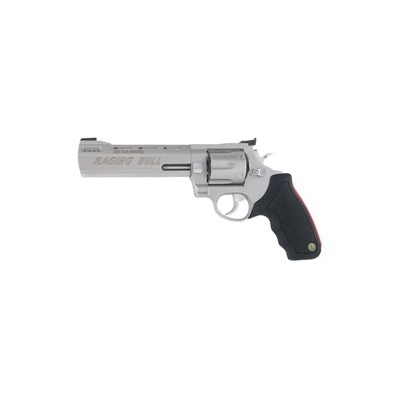 It comes with the Taurus Security System for safety purposes, a fiber optic sight to help with aim, and a cushioned grip for comfort, but otherwise, it’s light on features. Shooters of any skill level should pick this if getting a small gun with a lot of stopping power is their priority, but any shooter that can handle a bigger weapon should consider other choices. The Raging Bull is the best of Taurus’ revolvers for most purposes. It combines the porting of the Tracker with the cushioned grip from Ultralight to create an extremely controllable weapon. Like most Taurus weapons, it includes the security system that makes it safer to store than most other firearms. The Raging Bull is a little bit on the heavy side, but most people can handle the weight. Smaller shooters may want to give it a try before they commit to buying one. If you want a durable workhorse revolver for shooters of any skill level, this is a contender for the best 44 magnum revolver. The Desert Eagle lives up to its name. Most of it’s weight comes from the gun’s solid stainless steel construction, which helps to prevent damage from rough treatment in the field. A transfer bar safety makes sure that it’s also safe to carry loaded. The frame comes pre-drilled to accept a scope, for the convenience of shooters who like to modify their weapons. Those traits make this an excellent hunting weapon that a novice can learn to shoot and an expert can modify to suit their tastes. This gun is a relative to the gun that made the whole caliber famous, thanks to Dirty Harry. That makes the Model 29 the best 44 magnum revolver for film buffs, but it has a few benefits for other shooters. The Model 29 sports excellent sights and a light trigger pull, so it’s good for rapid use. The recoil is a little bit heavy, but a comfortable grip makes that a minor concern for experienced shooters with good form. Those that don’t have good form are liable to get sore hands, so novices should go for something a little more forgiving. The Redhawk is the Blackhawk’s double-action cousin, and the guns share many advantages. The double-action makes it a little bit easier to operate than the Blackhawk, which is why the Redhawk came out ahead on our listing. It uses Ruger’s usual transfer bar safety to prevent accidents, colored, replaceable sights, and a groove to accept a scope. It’s made of heavy steel and doesn’t use any side plates, so it can stand up to a lot of stress. The trigger is a little unusual. It has a fairly heavy trigger pull, but the distance is short, so it feels light and easy to operate. This is a safe and simple gun for novices, but the durability and high performance make this a fine choice for more experienced shooters. There is no such thing as a best 44 magnum revolver for every purpose. If you want to get the best results, you need to look at every option and make your selection with a specific goal in mind. If you know of a good revolver that we overlooked, or if you have experience with any of these guns, leave a comment to help others who are searching for a new revolver. We’ve also looked at some of the best .357 magnum revolvers if you wish to browse more of these versatile guns.